If you’re looking for a gift that’s meaningful and original, take a look at the PureJewels Silver Tola. Inspired by the traditional way of measuring gold and silver, we designed a collection of unique One Tola coins that make memorable special gifts. The ‘tola’ is a unit of weight that dates back to the 16th century. It comes from the Sanskrit word ‘tol’ (weight) and was once used as a standard measure for grains, seeds and gold. In the 1950s metric weight was introduced but the Tola was still used to weigh gold bars in India, Bangladesh, and other parts of South Asia. Today it’s still a familiar term, especially among those who invest in precious metal, and we wished to keep it alive for another generation. 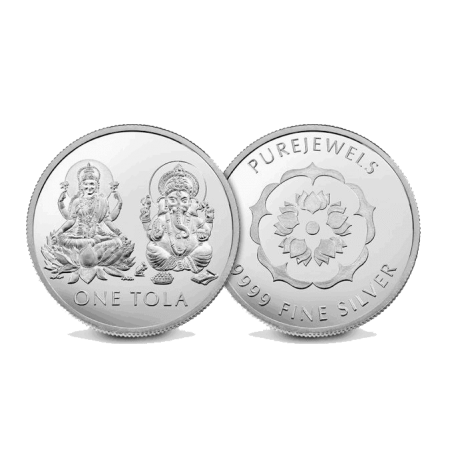 You will see that we have launched a number of beautiful, limited edition One Tola coins since we introduced the Silver Tola. Each Diwali we unveil a brand new design, so that our customers can collect them and make them a tradition. 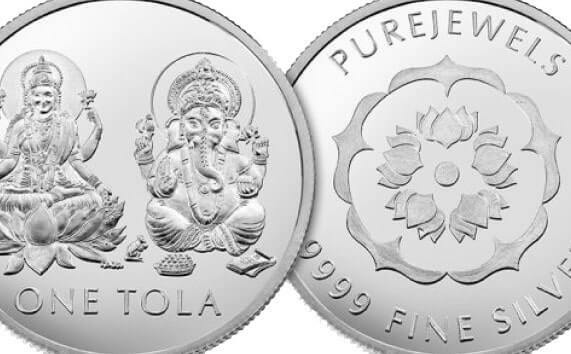 We mint the Silver Tola using the finest quality silver and stamp each one with our mark of authenticity. PureJewels is the only place where you will find these exclusive collectors’ coins. If you have an idea for next year’s Silver Tola design, why not get in touch with us?